Hey peeps, so I've got some exciting news to share! We're going to start doing reviews of awesome companies & products that we love by using our vast & super powerful social media powers but don't worry we promise we'll only use these super powers for good...and try not to take over the world! Well....maybe...a girl has to have goals you know. *smiles* This is going to be FUN, don't you think? If you happen to know of a product or fabulous company that you'd like us to review or maybe you have one yourself just email us with the delightful info. You can message us via any social media or directly through our email by using our "Connect with Moi" area to the right! We'll be ever so happy to hear what you have to say. Now, on to our first of many awesomesauce reviews. For our first product we're reviewing a Macaron shaped pillow by the adorable company Candy Cloud! How fabulous is that?! A Macaron shaped pillow...come on, I know I've got your interest. First off their name is adorable...Candy Cloud. Without even knowing what they sell I'd check them out. 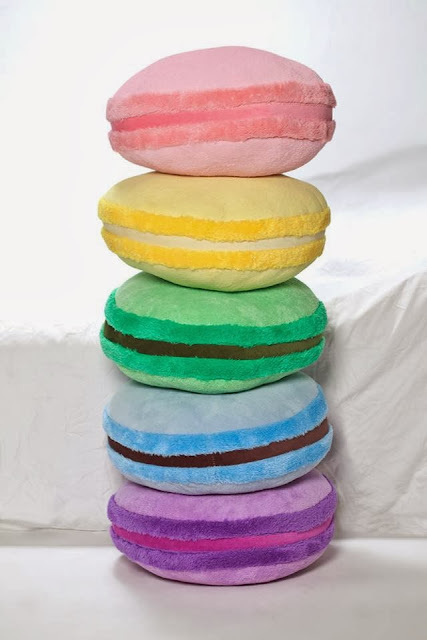 I love anything macaron related; edible macarons, macaron jewelry and of course now Candy Cloud's macaron pillows. You HAVE to have one of these or in fact all five of them. They offer five different colors in luscious sounding "flavors". You can pick from Lavender, Pistachio, Earl Grey, Lemon and Vanilla Raspberry which is the one I received. It matches my pretty rose comforter perfectly!! They're $25 each & you can save some moola if you buy all five on their website and even get 10% off your order if you sign up for their newsletter. You can find them on Facebook & Twitter too so you can keep up to date with what's going on with this fabulous company which I highly recommend. 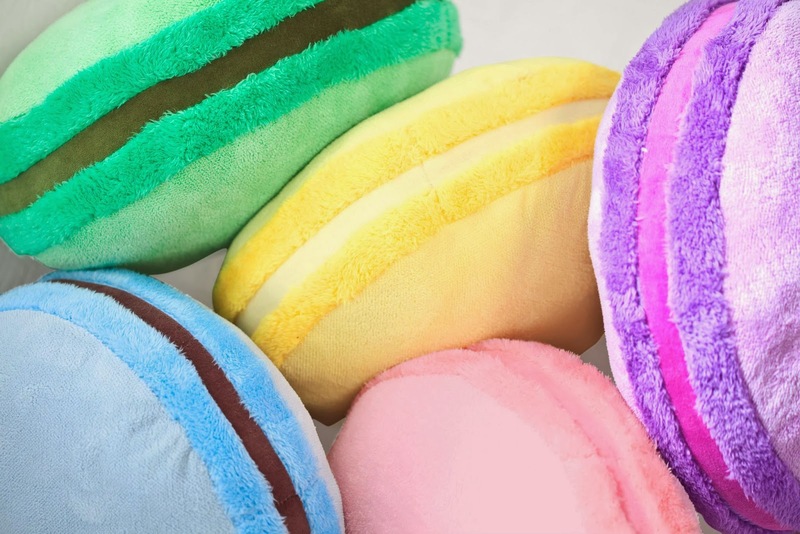 Disclaimer: I was given a macaron pillow by Candy Cloud to review and all opinions are mine. They really are as a soft as a cloud!! Thanks for stopping by lovely. :) Happy Holidays!!! Oooh I really want these pillows! So great! Hi Angela!! I've love to!! Hopping over there now! I've actually never tasted a macaron (kind of embarressed to say that really). But these pillows look great, so soft and cozy! I wish you a fabulous day dear gal! It goes perfectly with your bed linen Regina! So glad you like it. Thanks so much for the shout out doll!